Long touted as the jewel of the desert, the Arizona Biltmore (800-950-0086, www.arizonabiltmore.com) has hosted scores of celebrities since it first opened its doors in 1929. Designed by Frank Lloyd Wright, this Phoenix property got a little facelift for its 80th birthday in 2009. 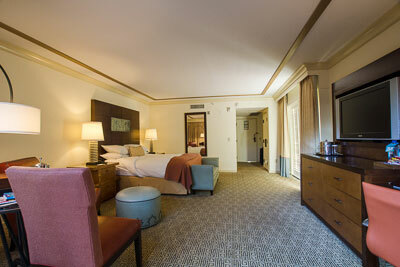 At that time they primped up the grounds, refurbished the rooms and added the Ocatilla, a new concierge class wing. This “resort within a resort” is located in a separate building and includes a private lounge, which offers a Continental breakfast, happy hour beverages and snacks, and refreshments throughout the day. Of course, it’s reserved for Ocatilla guests. Access hasn’t been overlooked at the Ocatilla either, as there’s level access to the building and a barrier-free pathway to room 6113 — one of the resort’s wheelchair-accessible rooms. 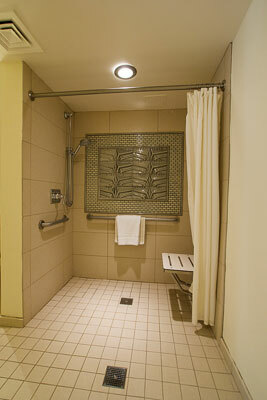 The room features wide doorways, a lowered peephole and closet rods, and plenty of room to navigate a wheelchair or scooter. 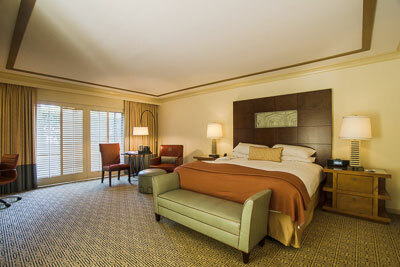 It’s furnished with a 24-inch high king-sized bed, with wheelchair access on both sides. A flat screen TV, a desk, two chairs and a table round out the plush furnishings. 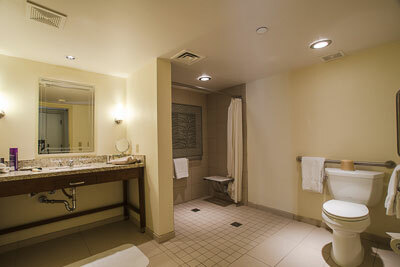 The very spacious bathroom has a full five-foot turning radius and is outfitted with a roll-in shower with a hand-held showerhead, grab bars and a padded fold-down shower seat. Toilet grab bars are located on the back and left walls (as seated), and there is also a roll-under sink in the bathroom. This ground-floor corner room has two patios, both with level access through sliding glass doors. One patio is furnished with a table and two chairs, with plenty of room for a wheelchair. Separated from the rest of the property, the Ocatilla offers a very peaceful retreat. Truly you won’t want for anything at this very accessible and luxurious resort, as the Ocatilla concierge can make dinner reservations, offer sightseeing directions and even help you map out your day. So pamper yourself in the desert this fall. You won’t be sorry!